After the ceremony at Malibu Rocky Oaks Estate Vineyards we took this shot from above of the bride and groom on the helipad. This is where the ceremony was held. 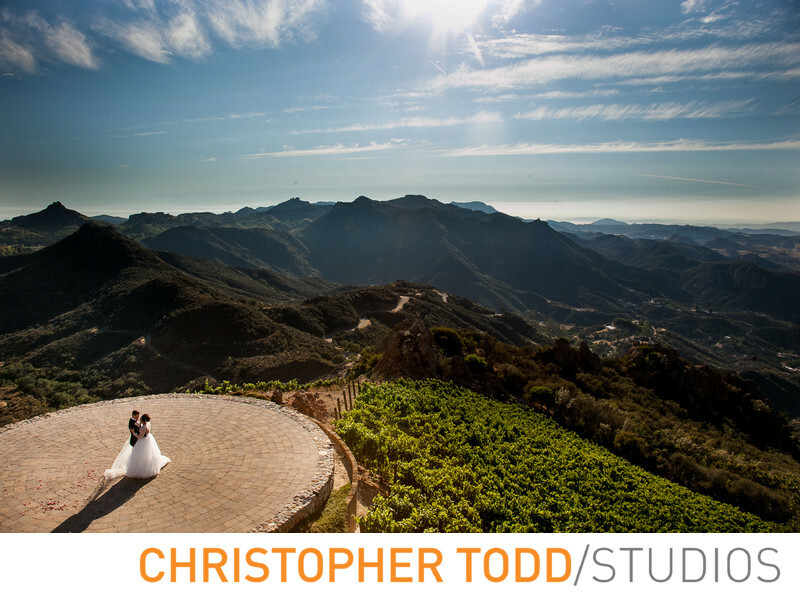 This wide angle shot shows the magnificent views of the Santa Monica Mountains as the couple embraces each other. This wedding venue is truly spectacular. 1/200; f/11.0; ISO 160; 24.0 mm.